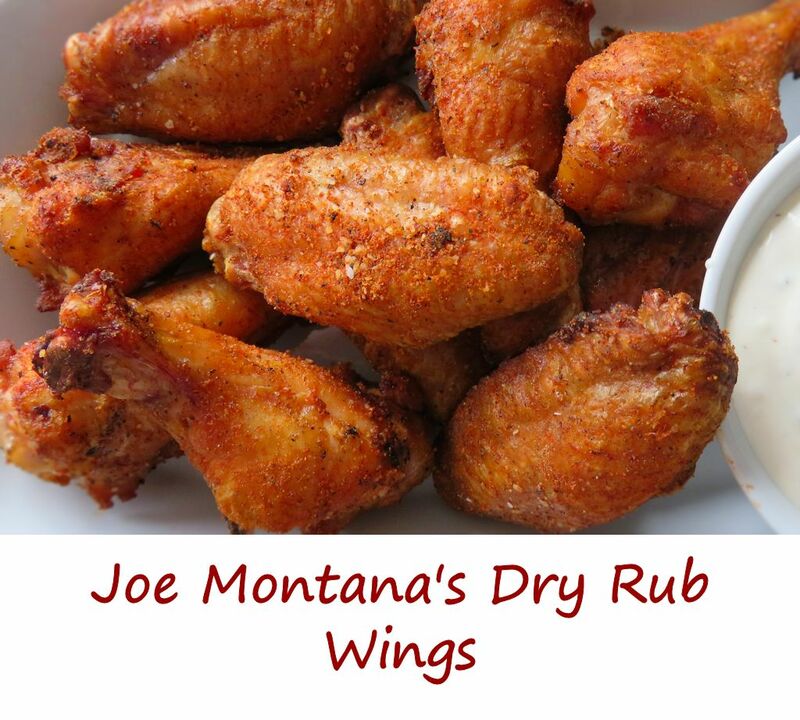 I don’t know if these really are Joe Montana‘s dry rub wings. Maybe they are. I’m a long time Dallas Cowboy’s fan so it sorta bothers me to say that these are mighty darned good wings. As much as I do like wings covered in sauce, I’m just as big of a fan of dry wings. Over-the-top sauces can bury the flavors from the chicken and the seasonings. If you can’t taste the chicken, what’s the point of cooking wings to start with? There’s nothing but flavor from Joe Montana’s dry rub wings. Simple flavors. No spiciness (add a good pinch of cayenne if you want some heat). No sweetness (add some brown sugar or honey powder if you prefer a sweeter wing). Just great flavor that anyone will love. These wings are dry marinated in the rub just before cooking. After they are done, the wings are tossed in a little more rub. You get the rub in every bite. Also try my Buffalo ranch and smoky chipotle dry rubbed wings. Combine all of the rub ingredients. Add the oil and HALF of the rub. Seal and toss to coat. Toss wings with remaining rub before serving.